For reverse specialists looking to build a referral network, local elder law attorneys can be a smart resource. These professionals work with seniors and their families to plan for long-term care needs, often helping them navigate their future housing options. The National Association of Elder Law Attorneys (NAELA) has 4,500 members nationwide, with a searchable database on its website. A spokesperson for the organization says it does not have an official position on reverse mortgages, but it does offer members exclusive access to webinars and other online resources about the product. 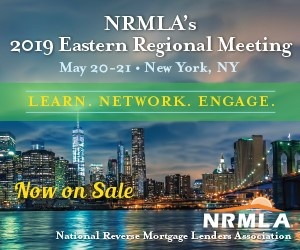 NAELA president-elect Michael Amoruso, an elder law attorney based in Rye Brook, N.Y., says that his work requires him to find solutions to a client’s problem, and that a reverse mortgage can be a part of the answer. Jennifer VanderVeen, an elder law attorney based in South Bend, Ind., says it’s increasingly important for professionals in her line of work to be informed about the product. “The public knows about them. You’re going to see them, you’re going to bump up against them. So you need to know what they are and how they work,” VanderVeen says, adding that many people assume that a nursing home is the only option for aging parents. Hyman Darling, NAELA president and a practicing attorney in Springfield, Mass., says he’s been recommending reverse mortgages to clients for years. Amaruso says part of his job is helping the client determine when a reverse mortgage is a good choice. Darling says that even though a reverse mortgage can be critical to solving a client’s problem, it can still be a tough sell. “As long as they are presented with the options, they can make an informed decision,” Darling says. In addition, Darling says having a connection to a local reverse specialist can be hugely beneficial to elder law attorneys. VanderVeen agrees, suggesting that reverse specialists reach out to chapters in their areas.